What happens after you follow an Instagram hashtag? This is probably one of my most favorite new Instagram features. You can now follow Instagram hashtags (not just people). If you are using hashtags and posting good content, Instagram will reward you: you will appear in the home feeds of people who don’t even follow you (yet). That’s amazing! Let tell you everything you need to know about following Instagram hashtags. Note: Read last section to see how to unfollow a hashtag. After you follow a hashtag you will see posts of people appearing in your home feed (people you don’t even follow). It will look like you are following them – which is amazing. It allows you to discover and interact with new people, from all around the world, directly from your home page. This is an amazing opportunity to engage organically with other accounts. And if you are thoughtful with your comments, they might even reciprocate and check out your account. After you follow a hashtag, you will also see the Insta Stories of other people who follow that hashtag! 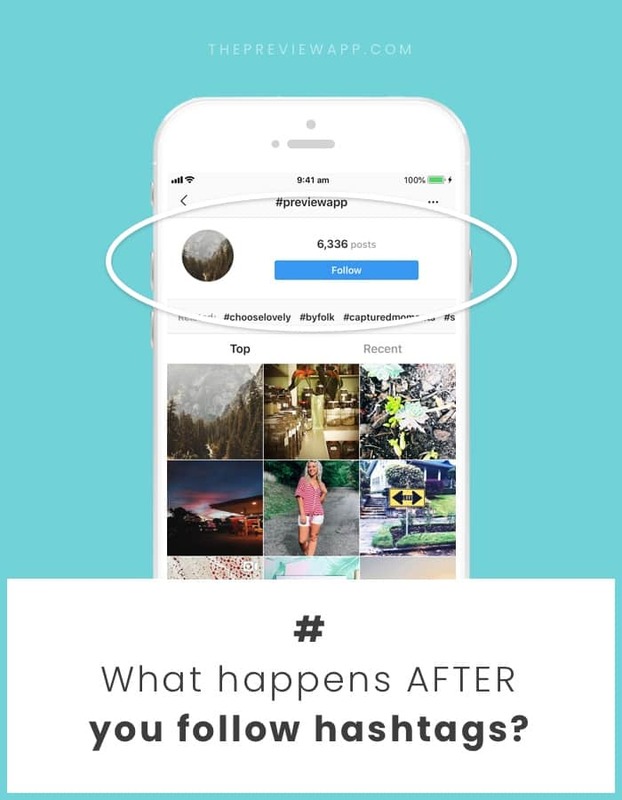 The Insta Stories of the Hashtags will appear on top of your home feed, next to the Insta Stories of all the other people you follow. This is amazing! It means that if you add a hashtag in your Insta Story (example: #creativity), your Insta Story can be seen by people who follow this hashtag. Note: Instagram doesn’t show the Insta Stories of everybody using a hashtag. So even if you use a hashtag in an Insta Story, you might not appear in the Insta Story hashtag. It seems like Instagram is selecting a few accounts only. How? Not sure yet. But we can only assume that if you have good Insta Story engagement and post consistently, they might feature you too! If you’re ever feeling like you’re losing track of what hashtags you are following, don’t worry. You can see the list of Instagram hashtag you’re following. How to unfollow an Instagram hashtag? To unfollow a hashtag simply press on the “Follow” button. You will be asked to confirm that you want to unfollow the Instagram hashtag. You will not see posts in your home feed of people using this hashtag anymore. What Instagram hashtags should you use to appear in people’s home feeds? Now this is a very important question. There are different types of hashtags on Instagram. I hope you found this article useful. As always, please leave me a comment below if you have any questions.